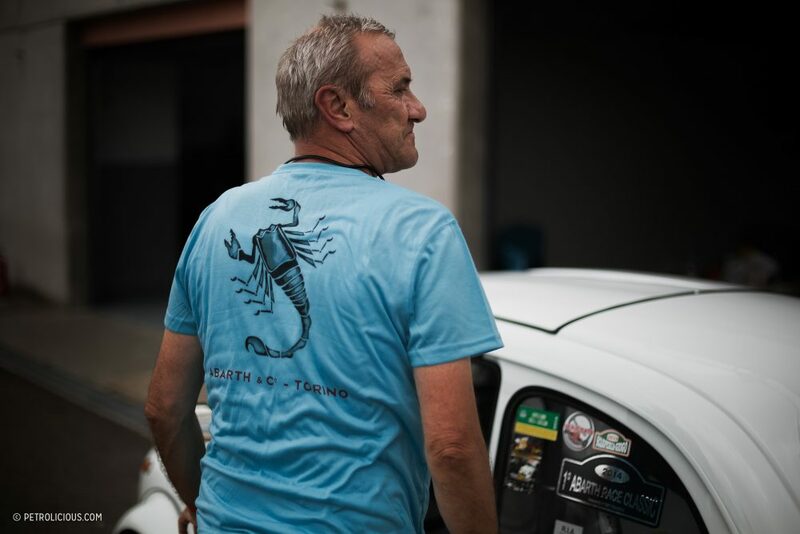 Anthony Berni is what you’d call an “all-in” enthusiast. 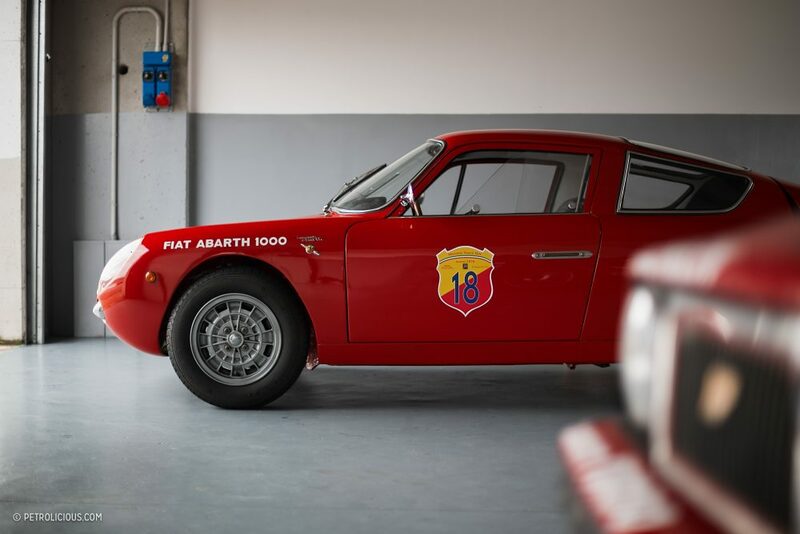 Like most who are interested in cars for the right reasons, he appreciates the contributions to the motoring world made by other, more prominent names, but when it comes to his favorite Italian house of speed there’s only Abarth. 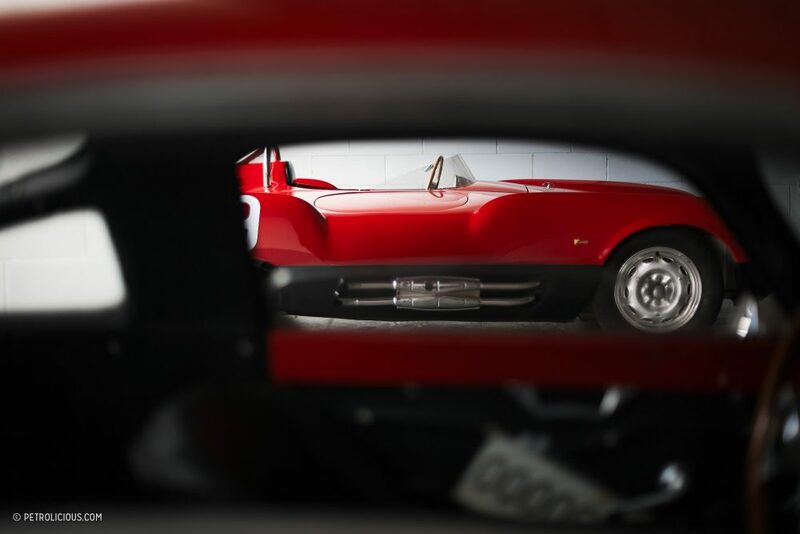 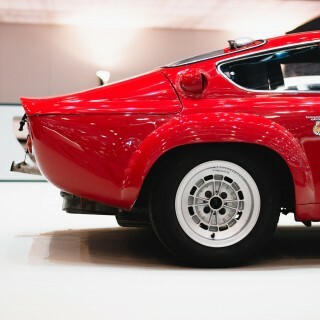 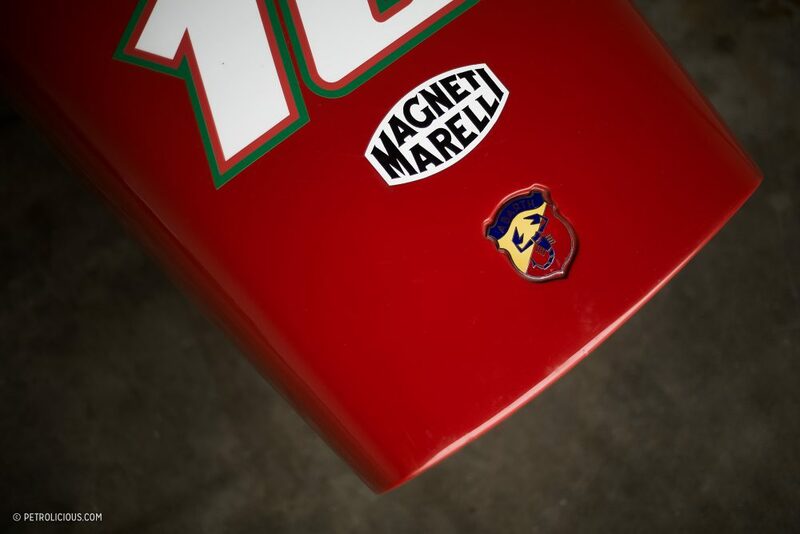 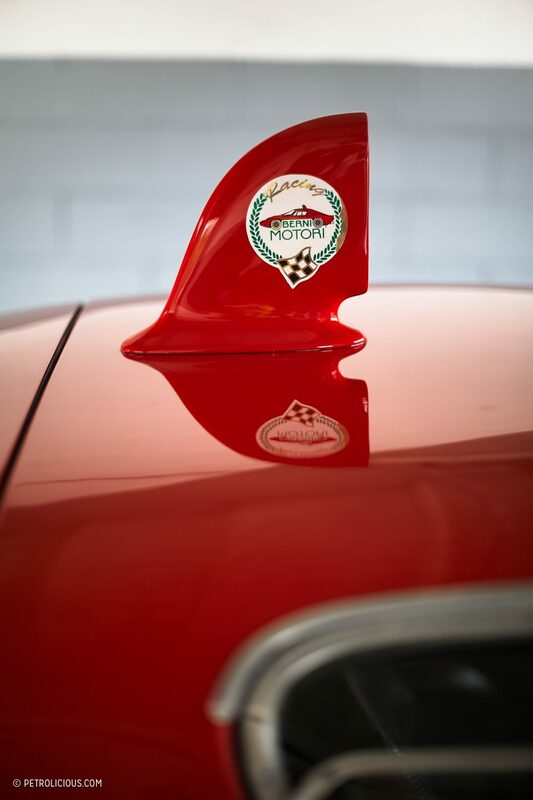 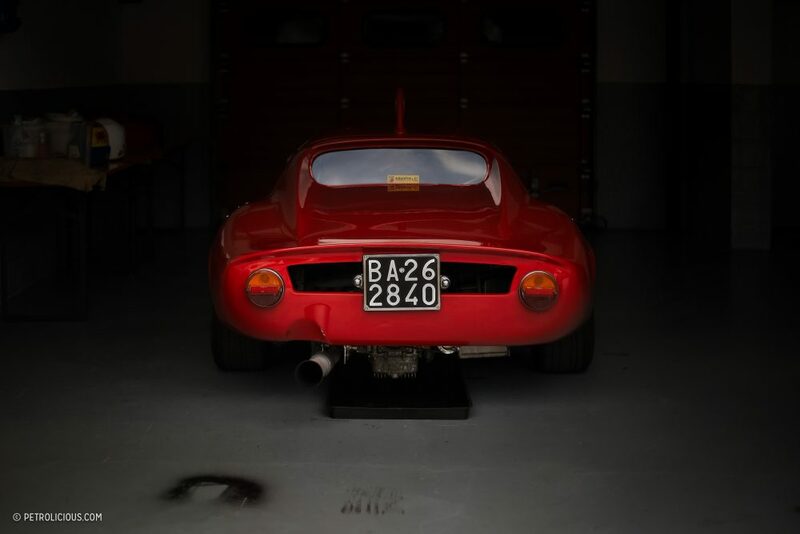 The brand was founded on the back of Cisitalia, when after the company was devoid of its founder and its finances its former sporting director Carlo Abarth took the remaining chassis and assets and formed Abarth & C. in 1949 in Bologna. 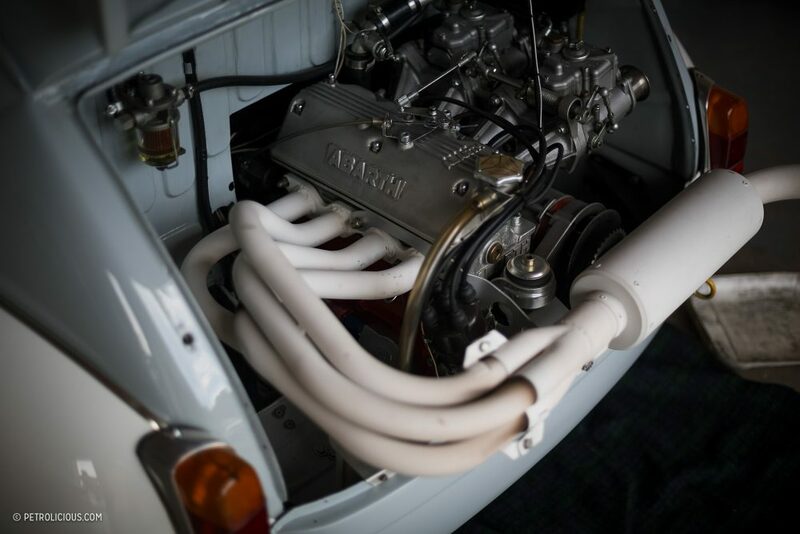 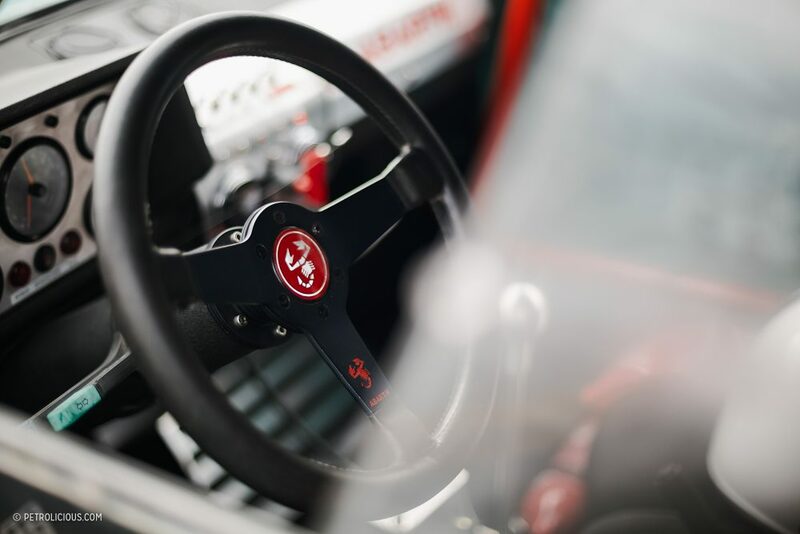 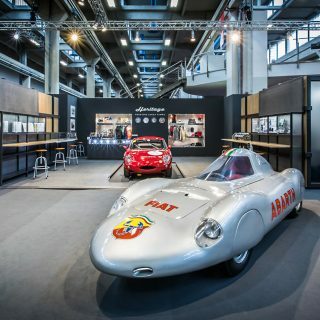 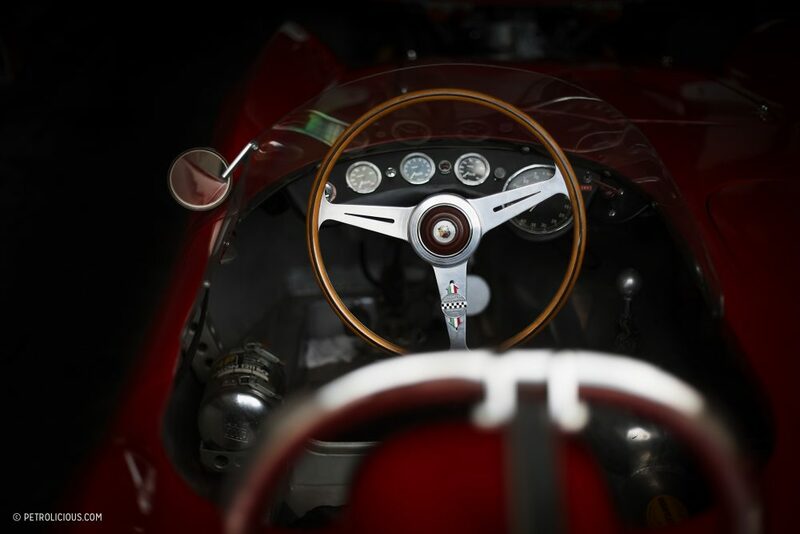 The company then moved over to Turin shortly after, and in the early 1950s they began a longstanding relationship with Fiat, the major automaker that most associate with Abarth road and race cars to this day. 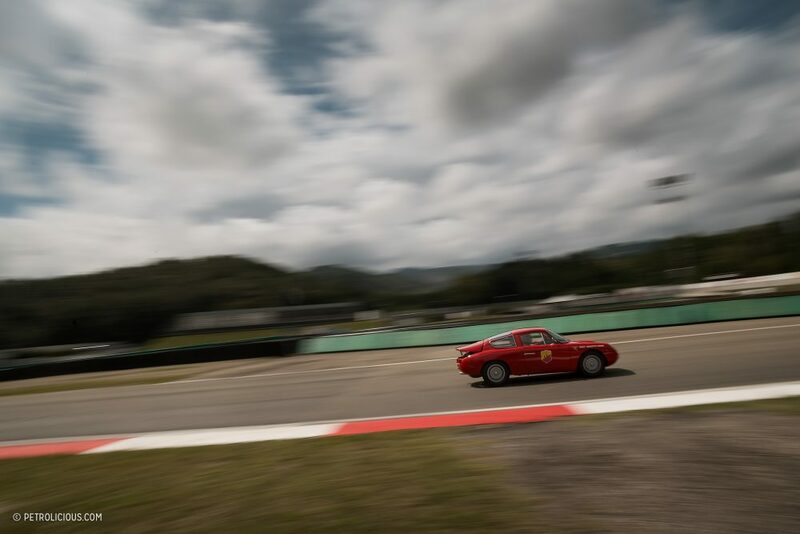 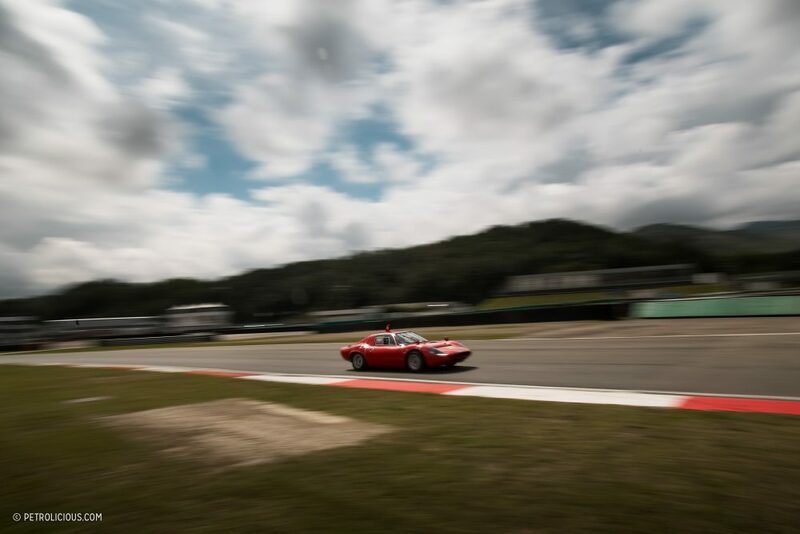 I wasn’t trackside at the Autodromo di Varano de’ Melegar last month for a history lesson on the scorpion-branded badge, but that was the most prominent one of the weekend given the name of the event on my calendar. 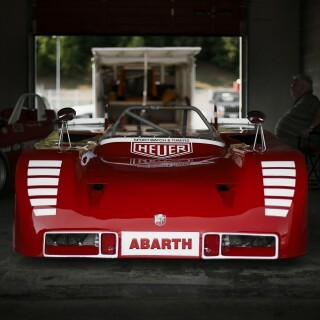 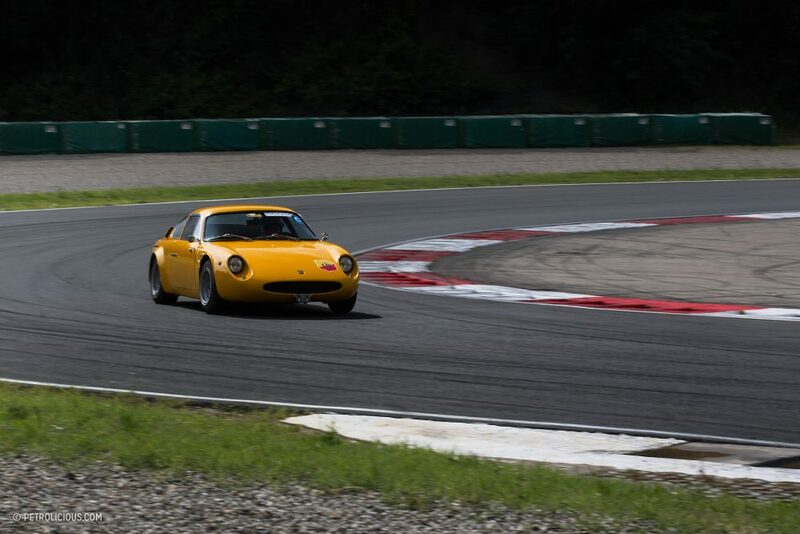 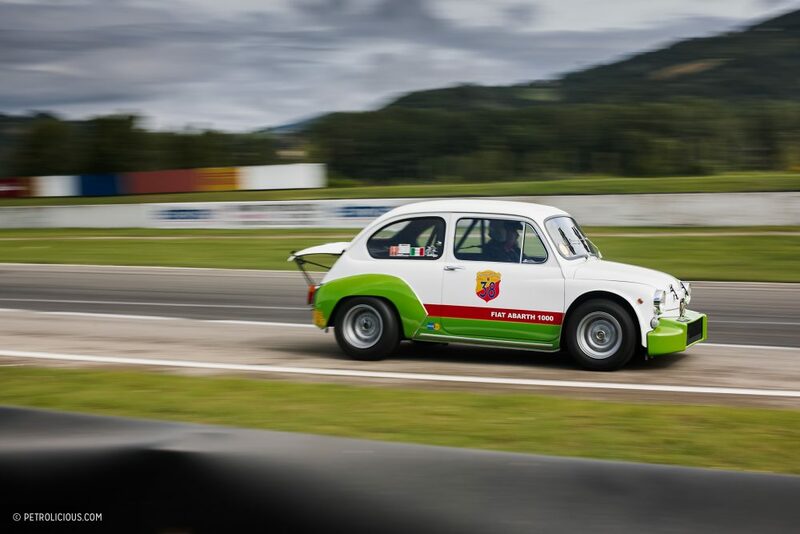 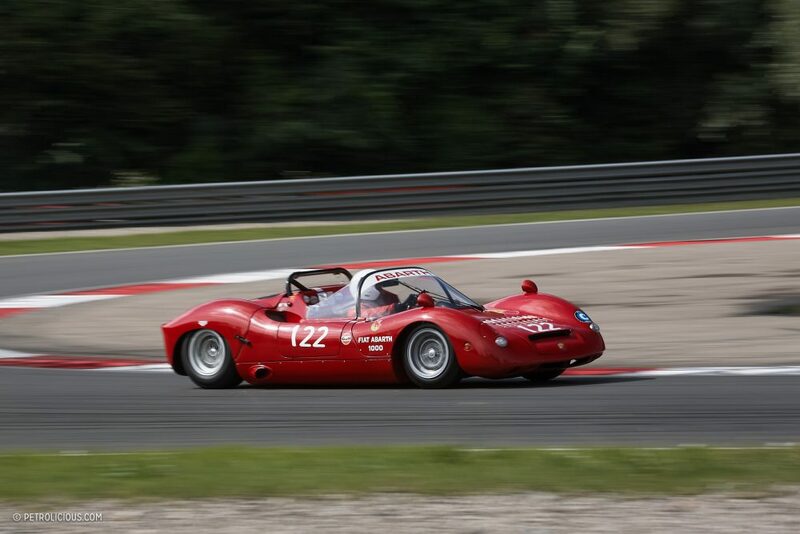 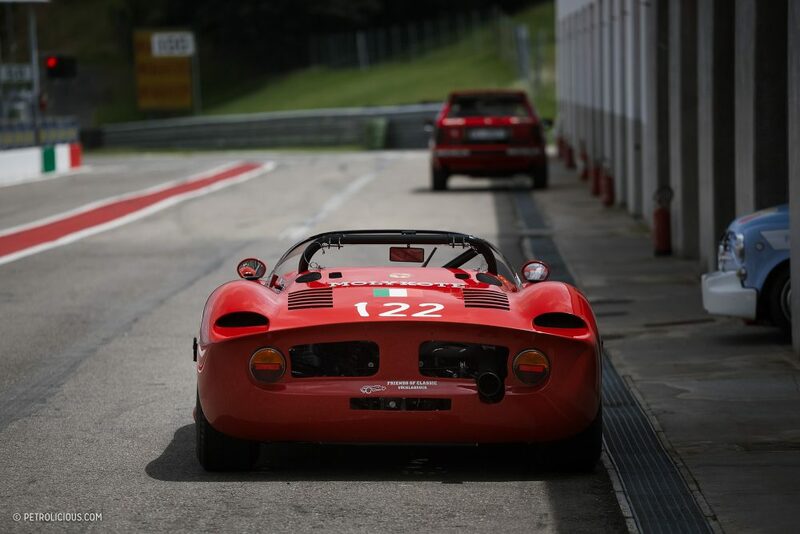 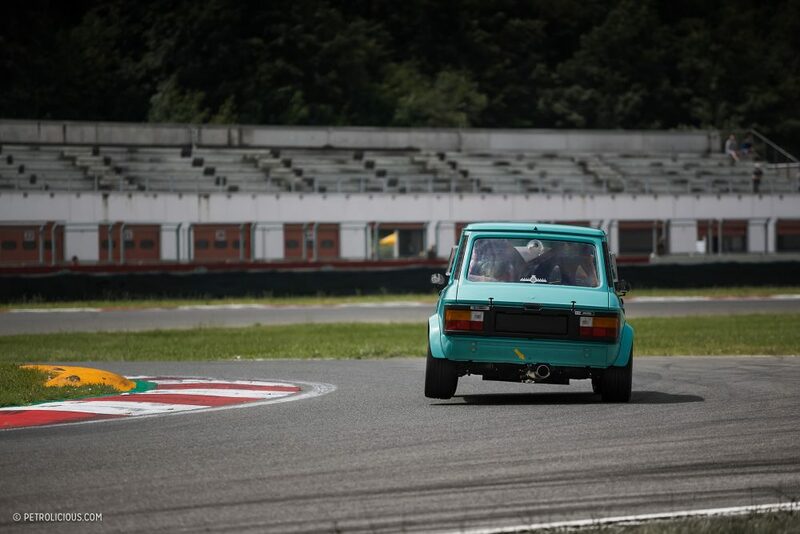 It’s called the Abarth Historic Track Day, and what it lacks in creativity it makes up for in being quite descriptive: come here and you’ll see all shape and sort of Abarth built and tuned automobiles being properly driven over the line that separates good manners and qualifying laps. 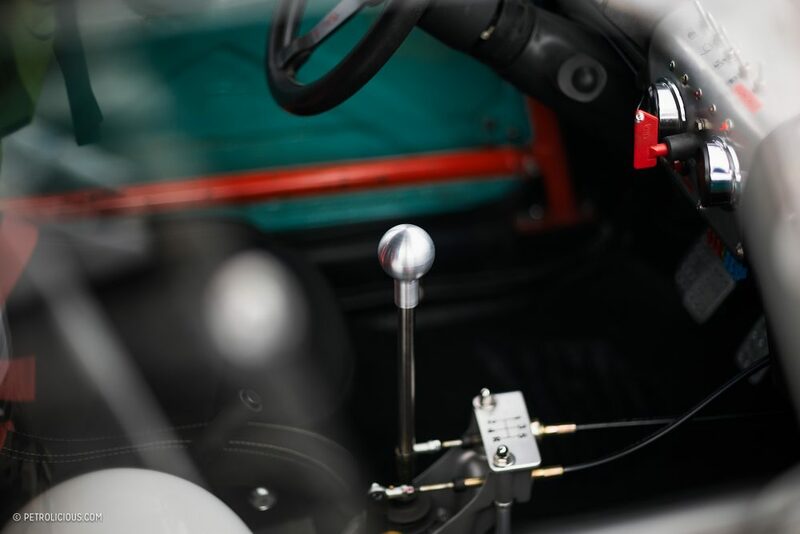 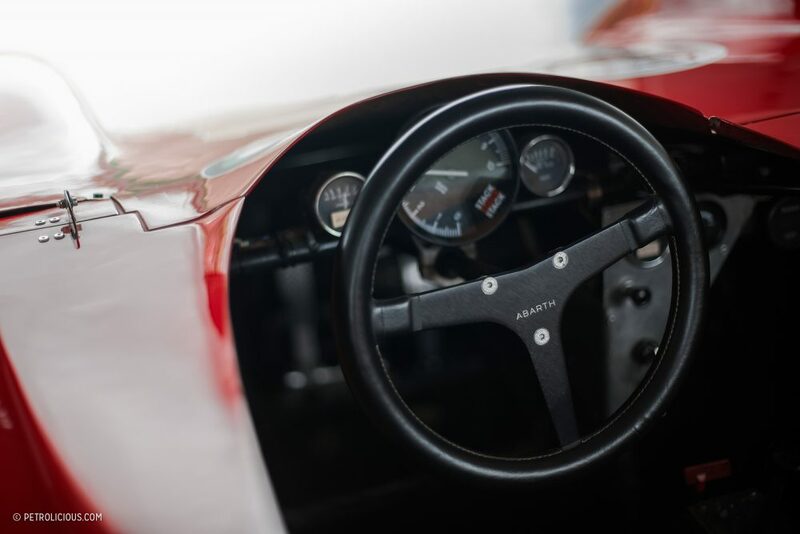 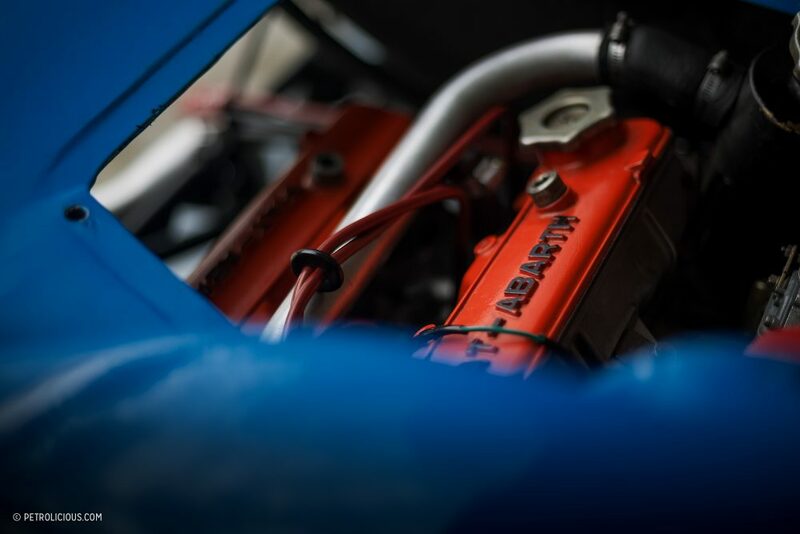 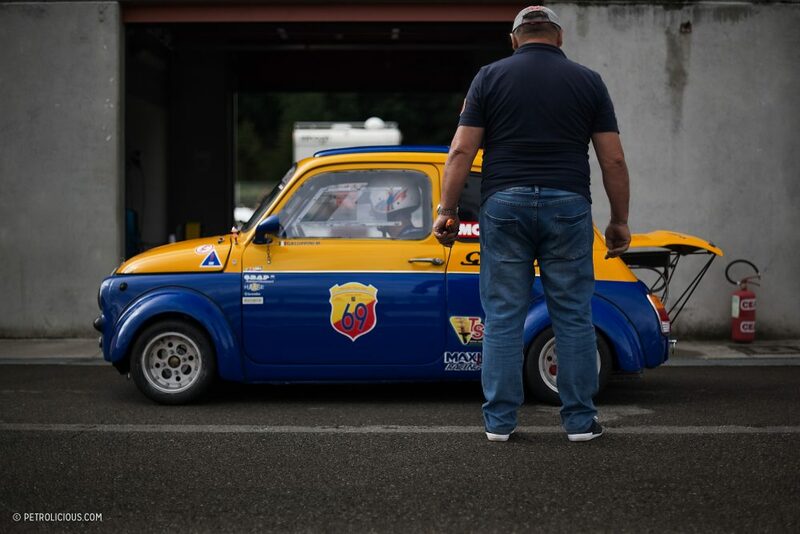 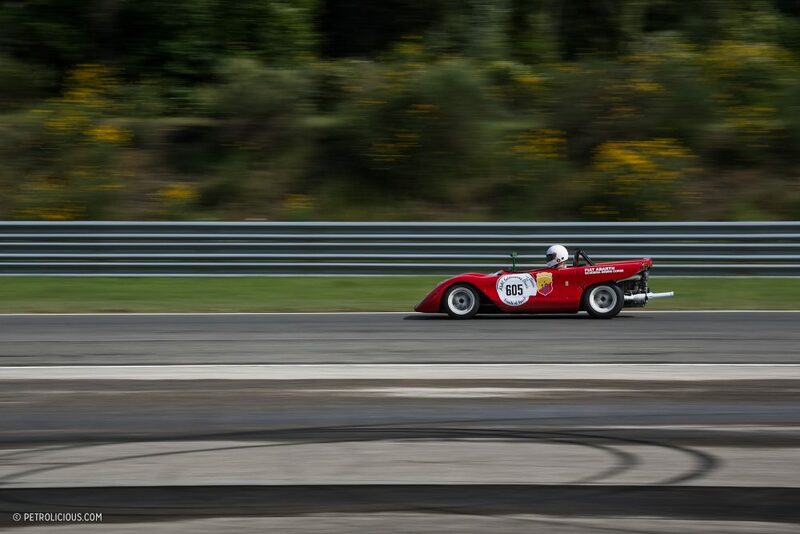 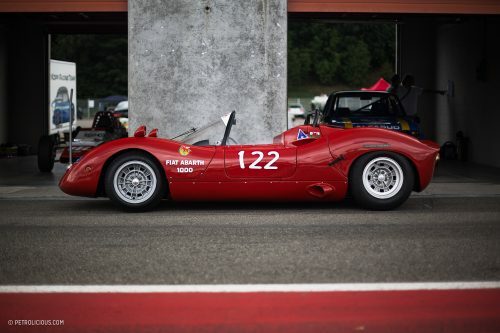 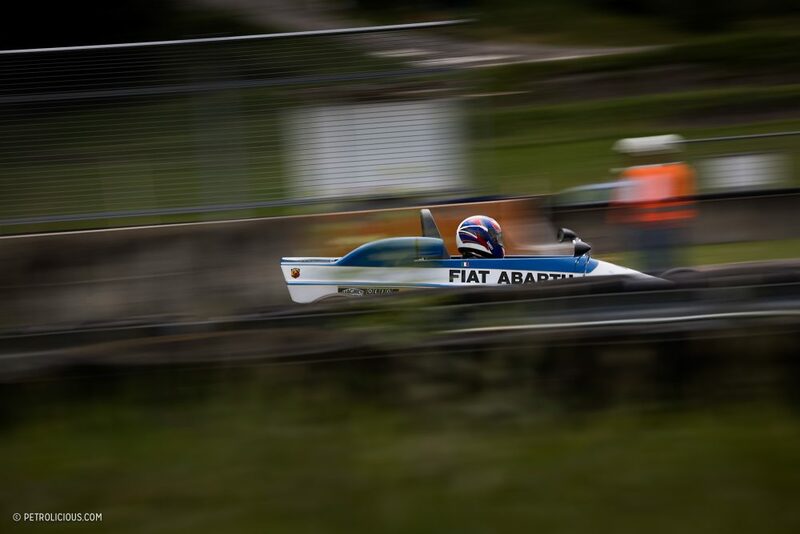 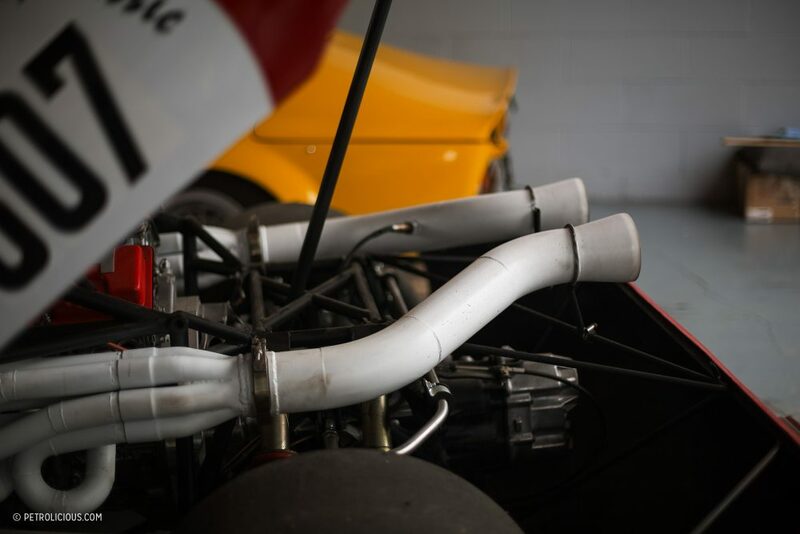 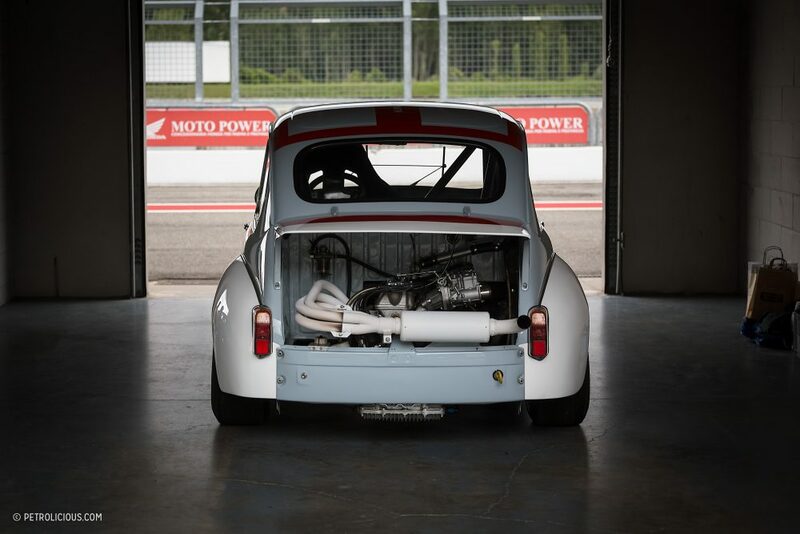 It’s not a race though, nor even one of the regularity sort that’s so typical for vintage motorsport these days—just a simple day spent at the race track with a group of machines sharing some stickers and history. 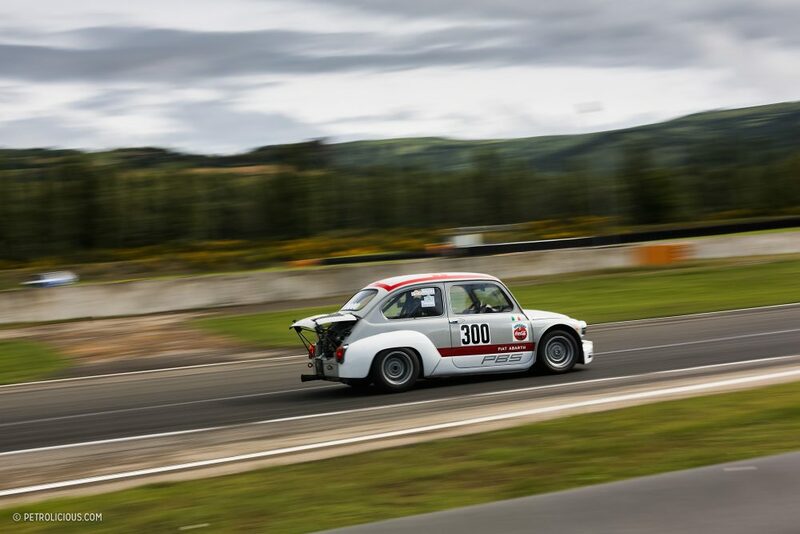 2018 marked the eighth edition of the laid-back single-day event, and while we all smile at the thought of hood-popped 500s tearing around circuits, it’s nice to see it in person. 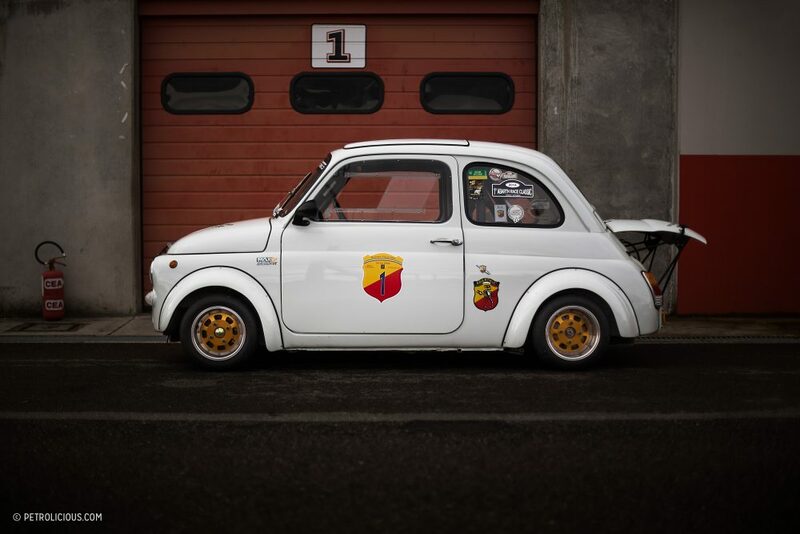 Along with some of the more obscure members of the Abarth family tree. 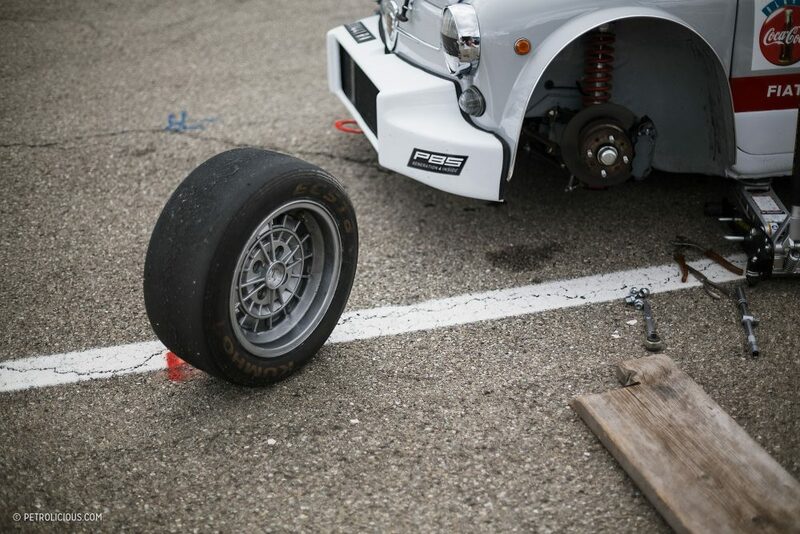 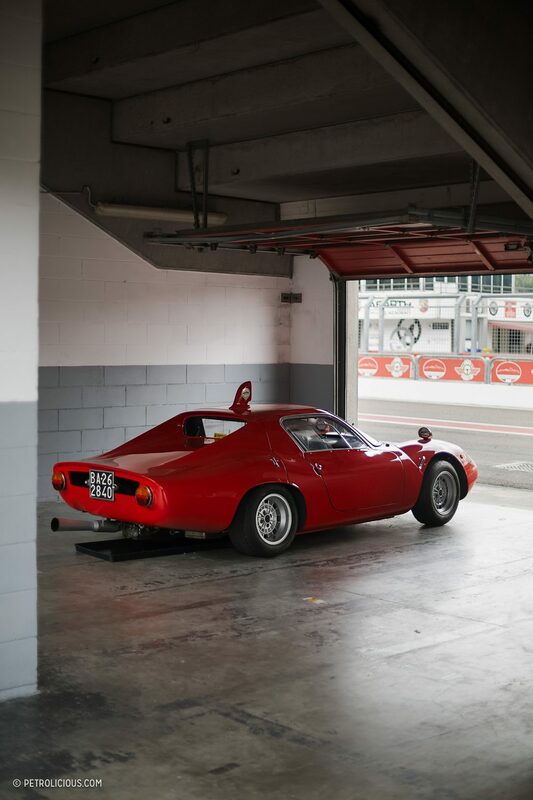 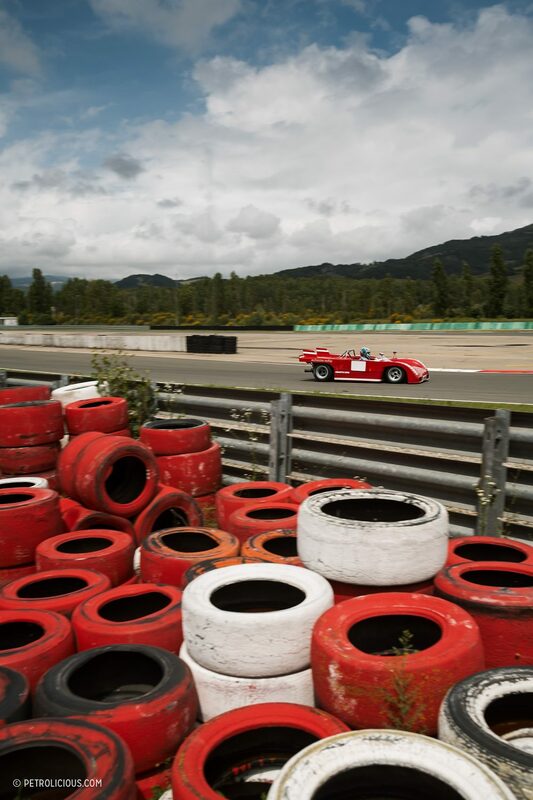 The cars are sorted into groups—a few handfuls make up four—and the cars travel from all across continental Europe to make it to this track in Parma that’s used to Formula 3 cars more so than 60-year-old steel shaped likes sports cars. 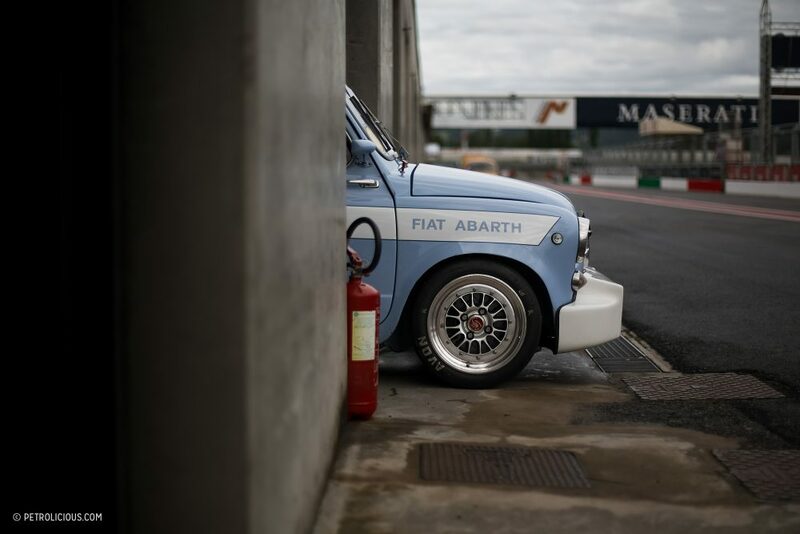 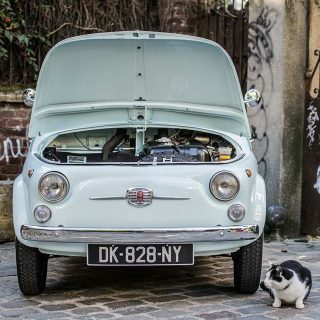 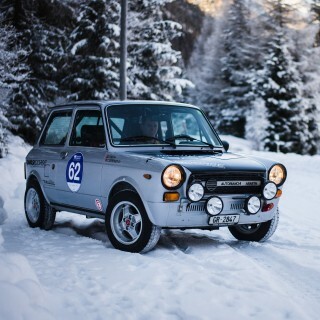 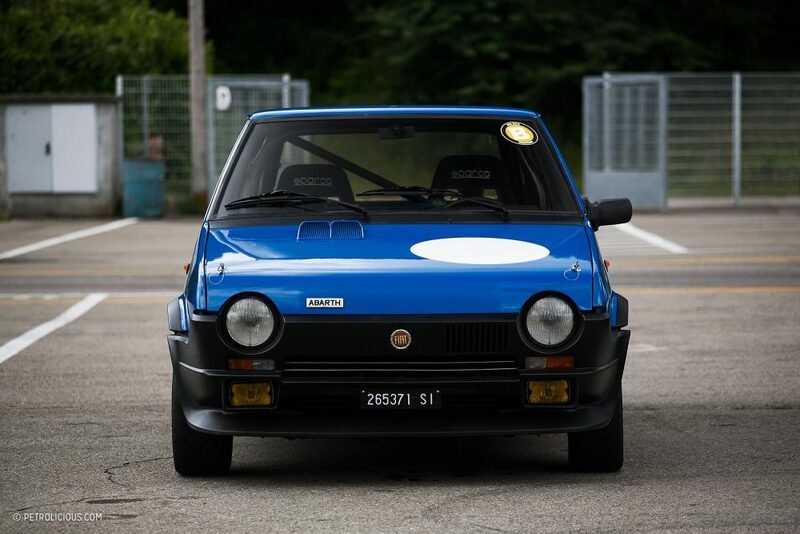 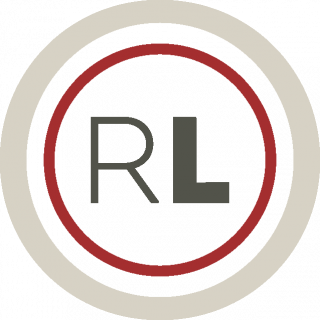 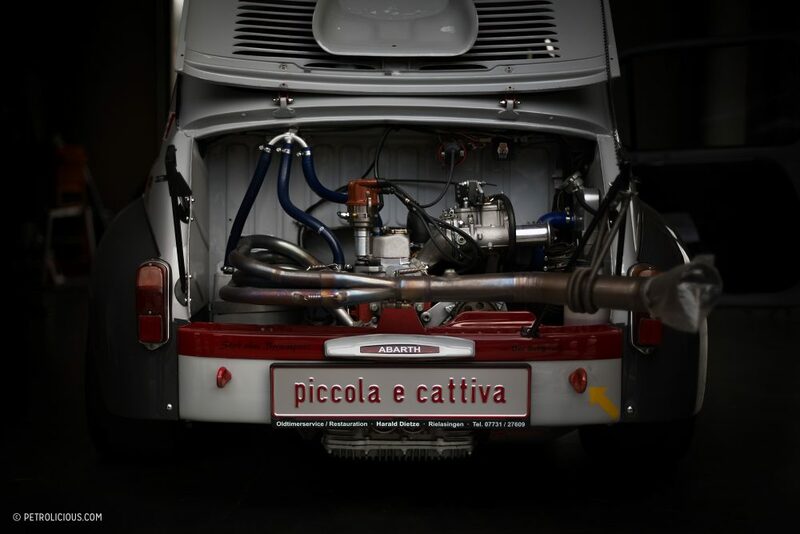 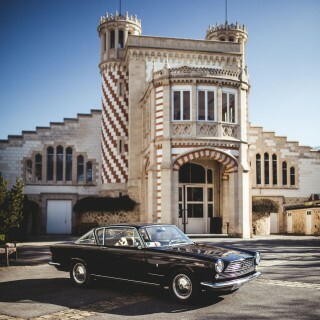 Many are Fiat-based, and when the company was acquired by the larger Italian automaker in 1971, the parts supply for the older cars dried up and left collectors and back then, contemporary racers, with no real recourse besides themselves. 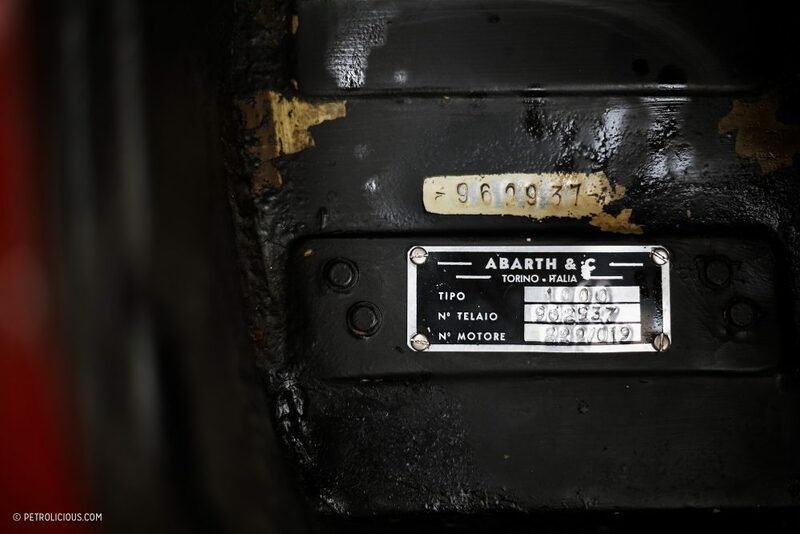 Discontinued parts and services meant the task of preservation and maintenance was put on the shoulders of the individuals who could profit from it, but now there aren’t that many left in the game of truly old school Abarth parts. 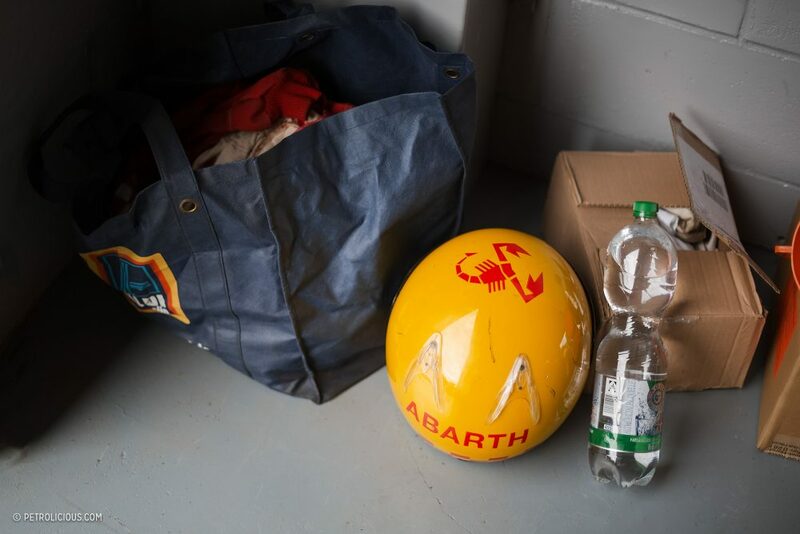 After enough time the numbers of Abarth drivers dwindled down to just the collectors and diehards (if we’re talking about cars before the merger, which we are), but Anthony Berni meant they wouldn’t be completely on their own. 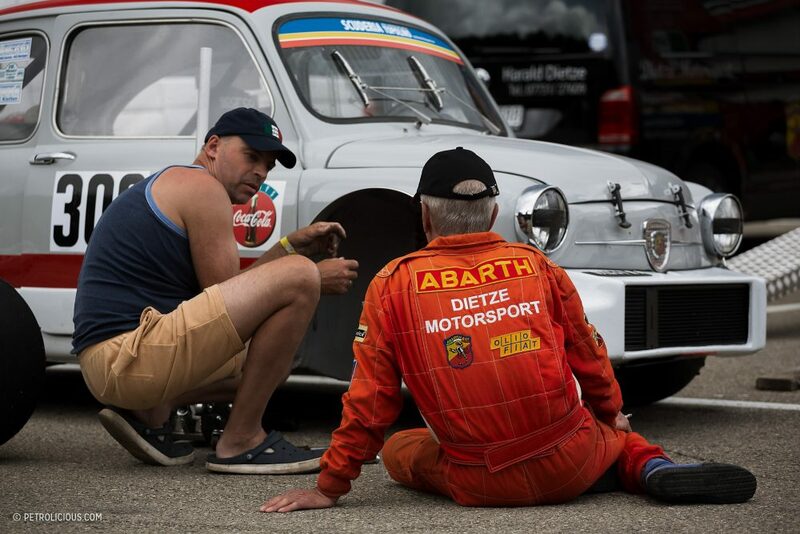 The man behind this track day appreciation event comes from many years of experience in both sourcing and reproducing Abarth parts for pre-’71 vehicles in need, and in addition to the repair manuals, restoration guides, and all the other guidance he’s produced he’s still actively promoting the community that’s made his life’s work possible. 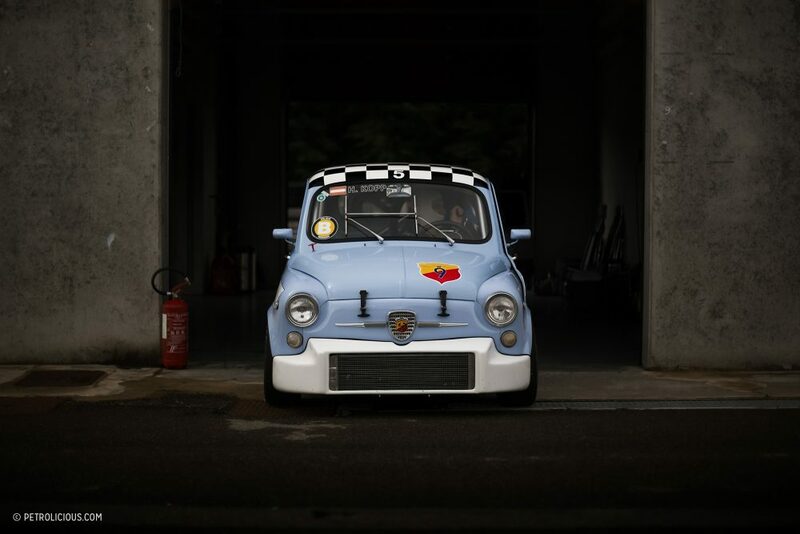 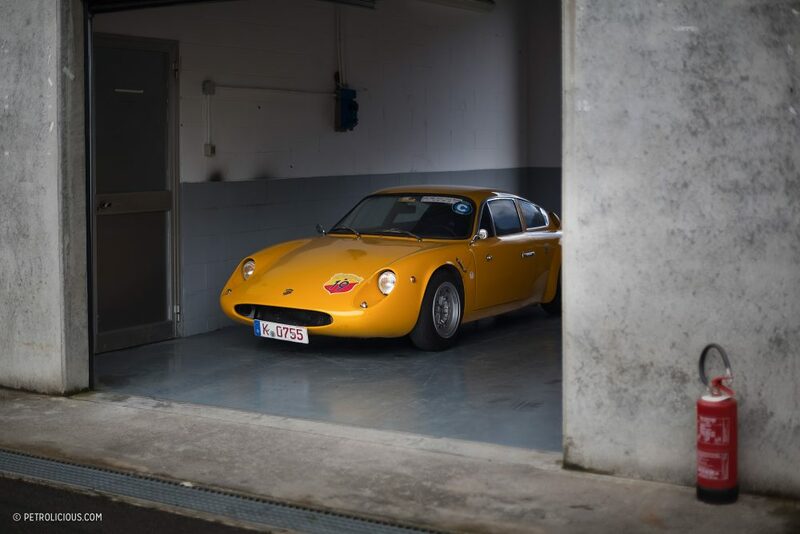 His collection isn’t too bad—putting that very lightly when you’re talking about cars like a 1300 Periscopio and a Monomille—but he’d prefer to see his customers and friends’ cars on the track; the story of the original Abarth in motion.